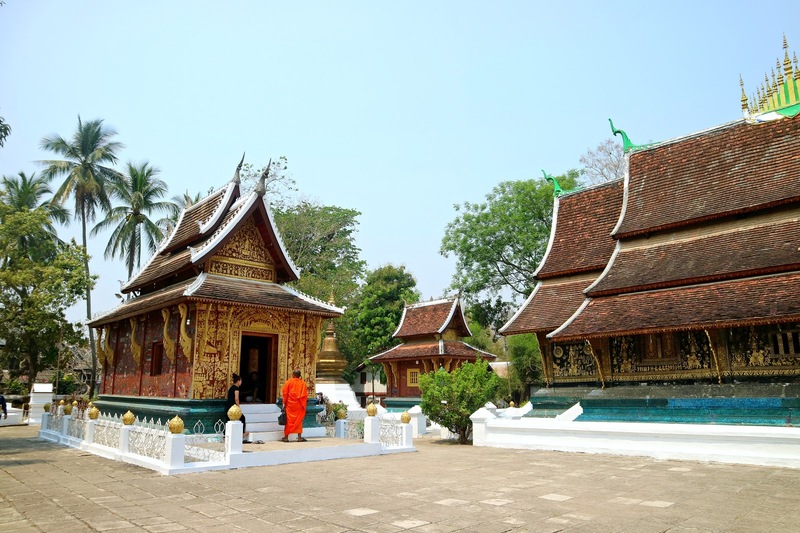 Luang Prabang is a small province but definitely has a big history to boast. I never thought I will be able to visit Laos anytime soon as this country doesn't have a direct flight from Manila. I also know no one who already went to this country so I was quite excited to incorporate this place in our backpacking tour around some countries in Indochina. What I know when planning this trip was I just have to create an itinerary that will let us travel to different Southeast Asian countries, and by Southeast Asian countries, I mean Cambodia, Myanmar, and Thailand. Vietnam and Laos weren't really part of the plan. 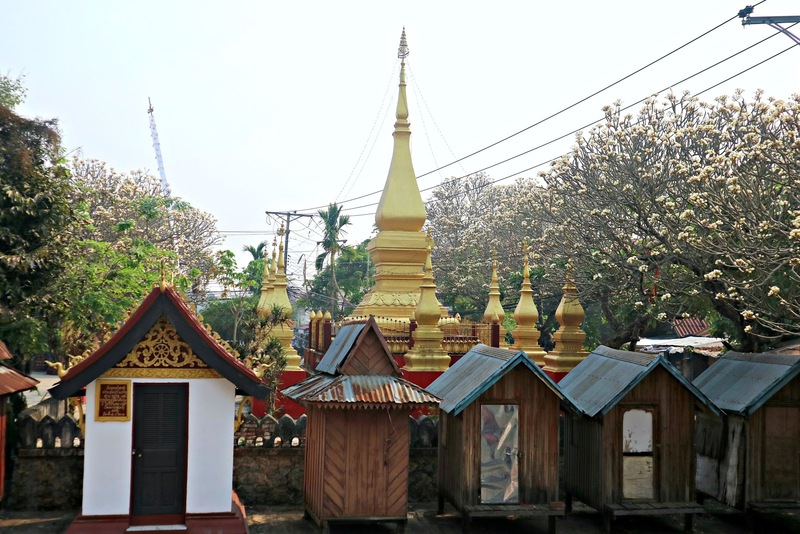 I'm also thinking of the Thailand, Myanmar, and Laos route but it was hard to travel in that route as there's no direct bus ride from Laos to Myanmar.. it would also take up a lot of time traveling by land to those places. So while browsing and booking our tickets, I thought that maybe it's time to visit Laos and Hanoi. I've been to Vietnam before but it was in Saigon so this will definitely be a new adventure. 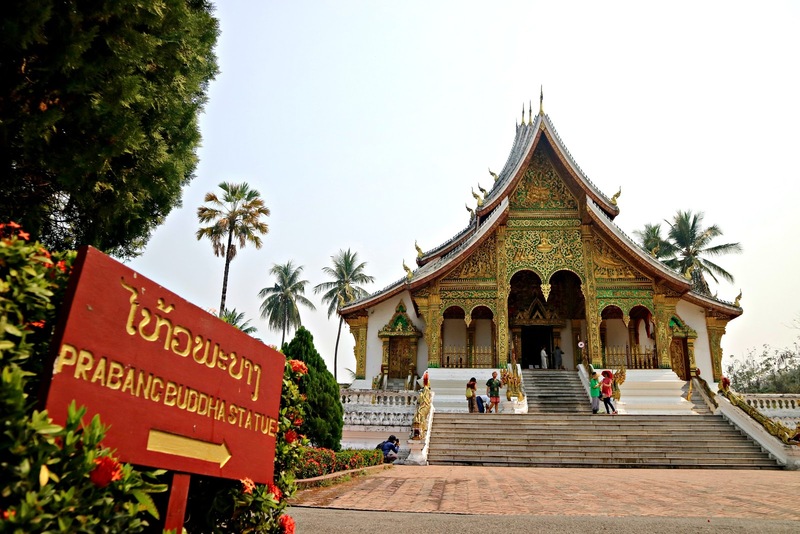 I'm also excited to visit Luang Prabang because I'm trying to visit all Southeast Asian countries and crossing this country off my bucket list as early as now is quite a relief. Why? because I think it's one of the countries that's hard to travel to because there's no direct flight and I'm not really familiar with its culture and people. I really had no background of this place prior to this trip. 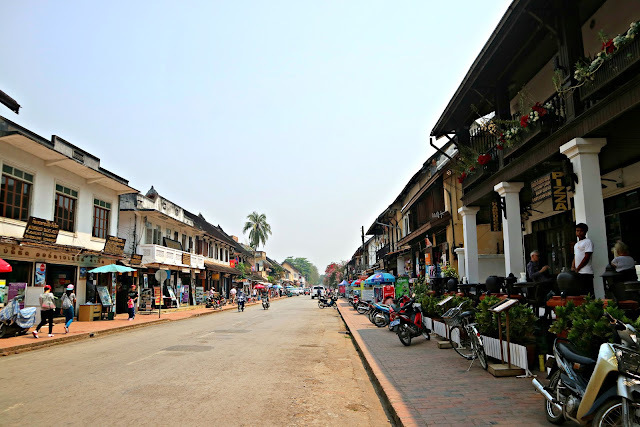 So after we explored the city of Hanoi, we then make our way to visit the old quaint town of Luang Prabang. 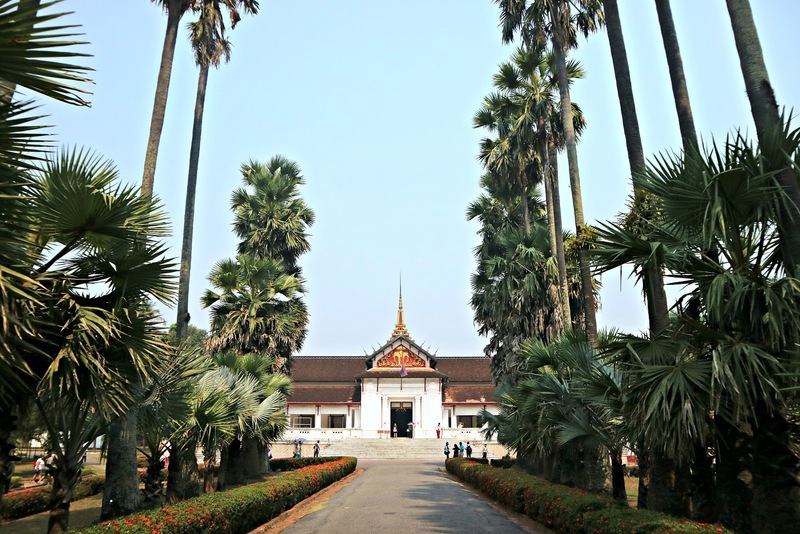 I booked our flights tickets through Skyscanner and we took Lao Airlines. It's just a one hour flight from Hanoi to Luang Prabang so the travel is quite comfortable. Our original plan was to take the overnight bus from Hanoi to Luang Prabang but it would then take up 25 hours. I also read some blogs about the overnight travel and most of them describe the ride as the bus from hell. There is no toilet in the bus and it is overly crowded with lots of boxes and luggage taking up most of the space. If you need to pee, the bus will just stop out of nowhere. Just by imagining it makes me cringe. I just can't simply ride even for the experience. For those that's not familiar, Luang Prabang was Laos' capital until it was changed to Vientiane. And while this place might be small, you won't get bored with it as it has a lot of stuff to offer! And did you know that this whole province is a UNESCO World Heritage site? Yup, not just one single structure but the entirety of this province is very historical and is being highly preserved. You can't simply just roam around without seeing temples. Most backpackers would often describe this place as very laid back and has a slow paced course of living. And I agree, everything here is moving slowly. It's as if you're in another dimension. You can roam around this city just by using your rented bicycles. Some would use scooters while some prefer to walk. And no, you don't need fancy tour packages to see everything because this place is quite easy to explore even on your own. We arrived in Luang Prabang at around 7 in the evening. Booths in the airports are closed except for one sim card vendor (that scammed us) and a stall for airport taxi that is the only mode of transportation to get you to the town center. The airport is small given that it's an international airport. I can compare it to Busuanga airport which is a little less small than LPQ's airport. We took the airport taxi and went straight to our guest house. 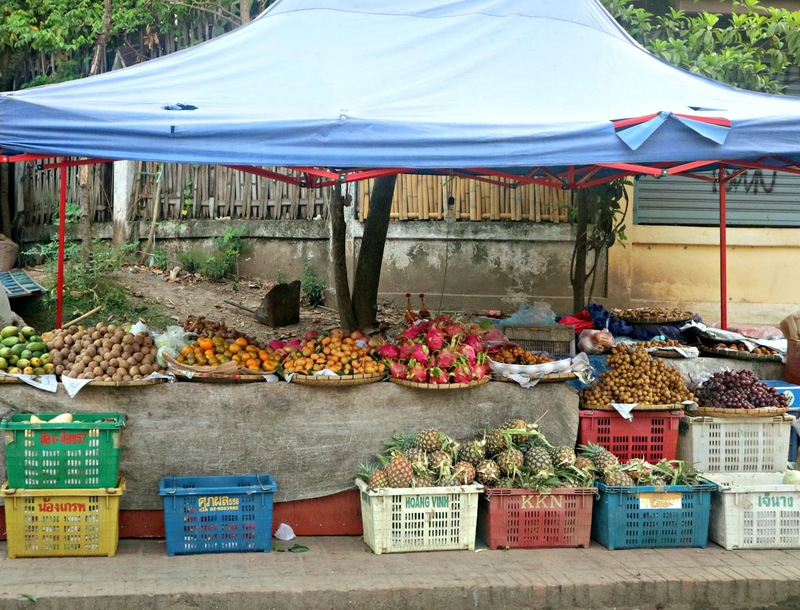 One thing to note about Luang Prabang is that the cost of living is higher than of Thailand and Vietnam. I was expecting it to be cheaper but hey.. it was where most of my pocket money went to. And to top it all off? Money changers don't accept Philippine peso so we had no choice. My father withdraws Lao Kip from the ATM. 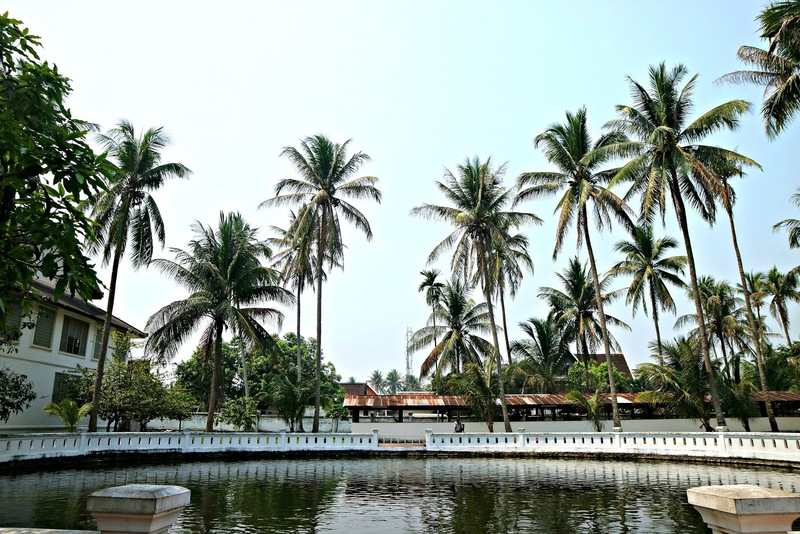 Blame it on being landlocked but in order to enjoy this country, you should have a lot more pocket money than your usual pocket money for Thailand and Vietnam. Accommodation here is also more expensive compared to its neighboring countries. 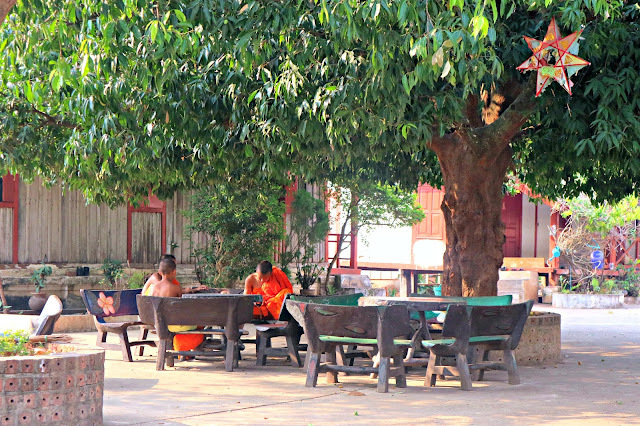 We stayed at Phanthasone Guest House by booking a room via Agoda. It was one of the cheapest I could find. The room is just so-so. It was actually comfortable for two people. Basic needs are provided like our own comfort room, comfy beds, AC, and TV. There's also free wifi but it sometimes gets spiky. When it comes to money, aside from Lao Kip, establishments here also accepts Thai baht, US dollar, and other famous currencies such as Singaporean dollar. During our first night and when we couldn't change money, my father was lucky enough to still have Thai baht from our backpacking in Thailand last 2015. It was our life saver for the day as we couldn't change Philippine peso to Lao kip. So this is now the exciting part! 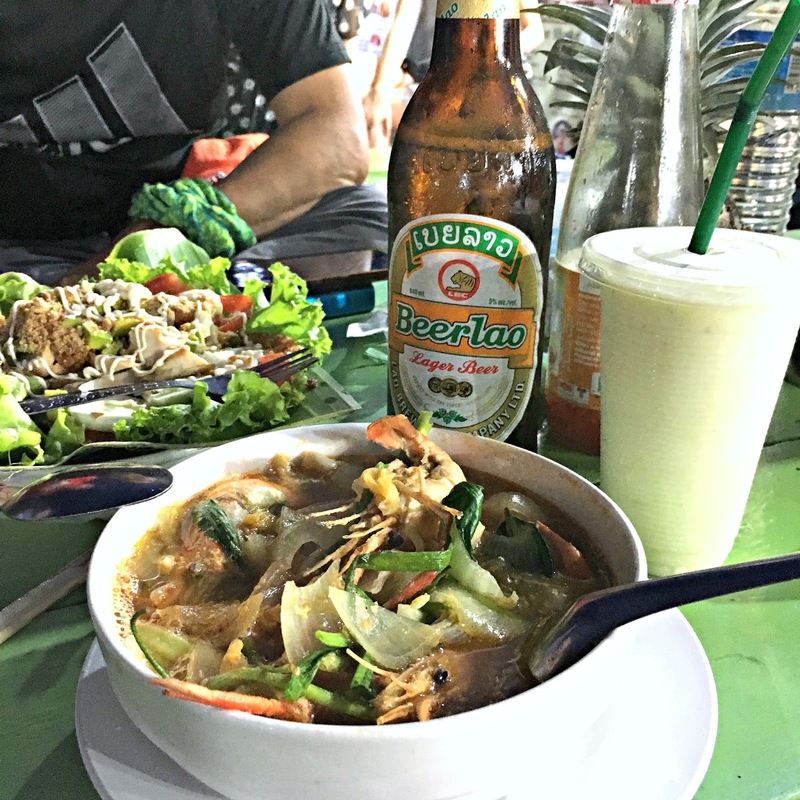 After getting a good night rest, we started the day by looking for a good breakfast place and we stumble across a small stall in the public market that offers Khao Soi or sometimes spelled as Khao Soy. 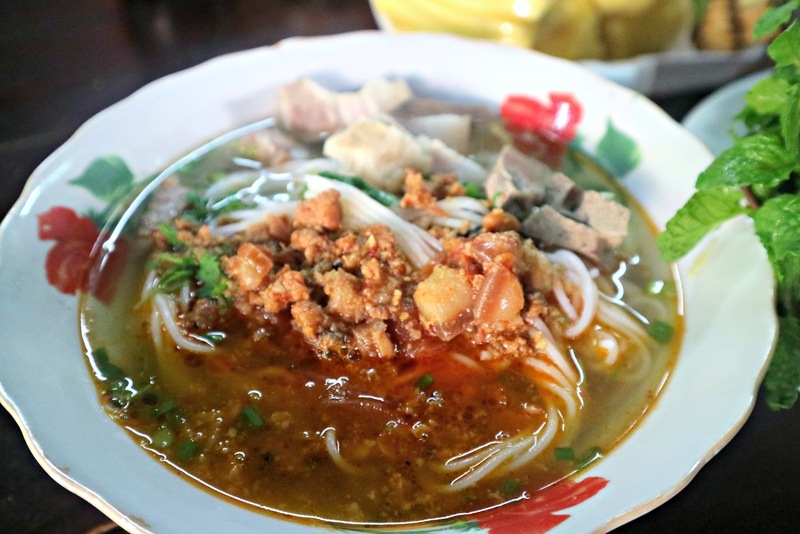 Khao Soy is a food that was influenced by the Burmese. And if you will ask me what I like better, Khao Soy or Pho? I will definitely answer Khao Soy! I guess Khao Soy isn't just as popular as pho yet because Laos is not as popular as Vietnam right now. It was actually hard to find authentic Lao food in the area as most of the stalls and restaurants offer Thai, Vietnamese, and Western food. 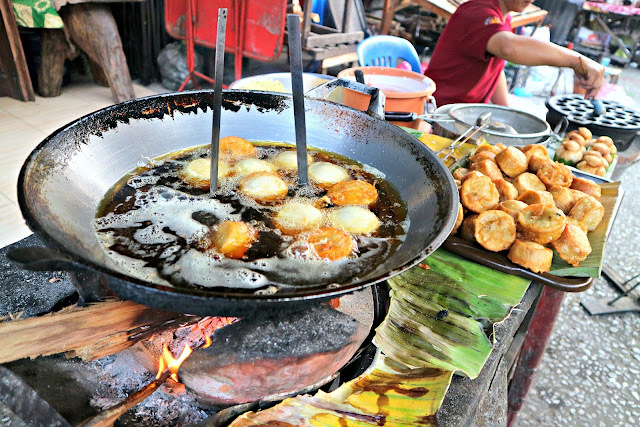 It's as if the locals already knew that travelers will look for these famous cuisines. 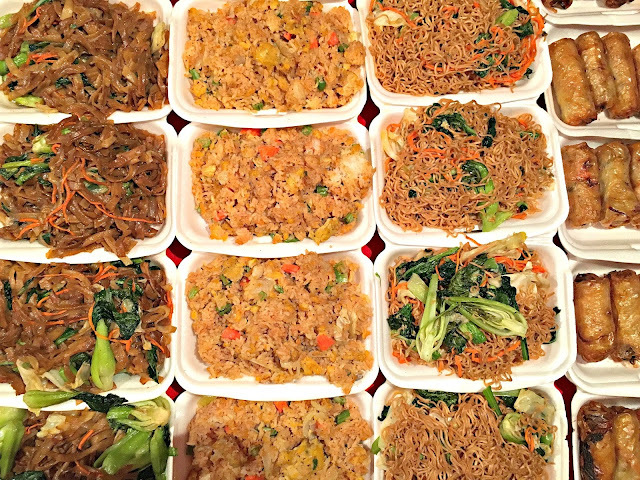 And also, since Laos is landlocked by other Southeast Asian countries, it is reasonable that its cuisine will be highly influenced by its neighboring countries. I don't even know if I was able to eat a homegrown dish or was it all influenced by another cuisine? You can see bagels being sold everywhere as this country was once under the French colony. 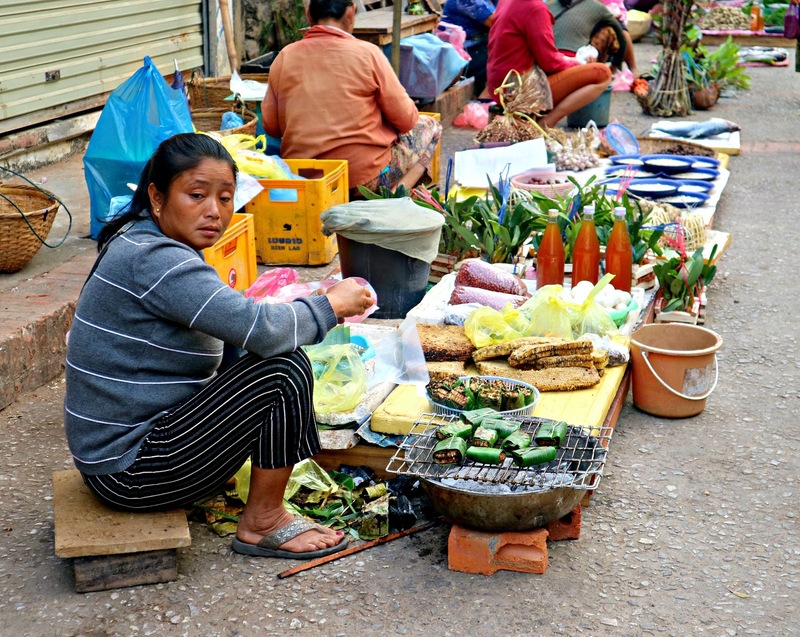 If you fancy looking and taste testing different Lao street food, you should definitely explore their public market! From fruits to different packed goodies. Fresh vegetables to different kinds of meat. Some of the meat though doesn't look appetizing anymore. It might be sold for over a week now but no one's buying so it's still there rotting and waiting to be bought. There is also those famous $1 dollar buffet around the so called buffet street. I've been wanting to try these so called buffets prior to the trip but fortunately, we didn't try eating here as I read there are many cases of food poisoning and upset stomach. Just like the meat that is not sold for over a week, this food might also be reheated a lot of times already! Their bbq on the other hand was delish! You will see a lot of stalls that sells pork bbq and even grilled fish. Their night market food stalls sell pad thai, Thai sausage, spring roll, tom yum, shakes, crepes, and waffles. 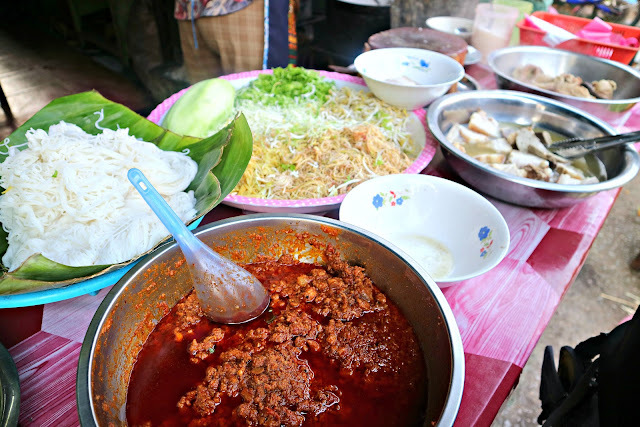 You will never go hungry in Luang Prabang as there's always an open store serving food. So right after savoring the flavorful soup of Khao Soy, we went back to the guest house and rented a bicycle for a half day tour of the town center. 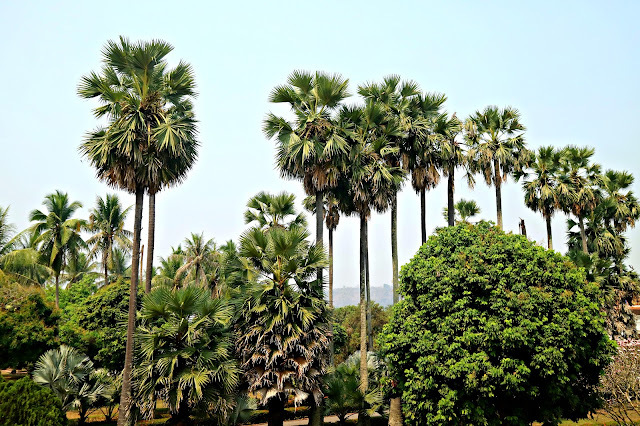 We first bought our overnight bus ticket to Vientiane because we depart the next day for Vientiane then we roamed around the city just by looking a paper map. 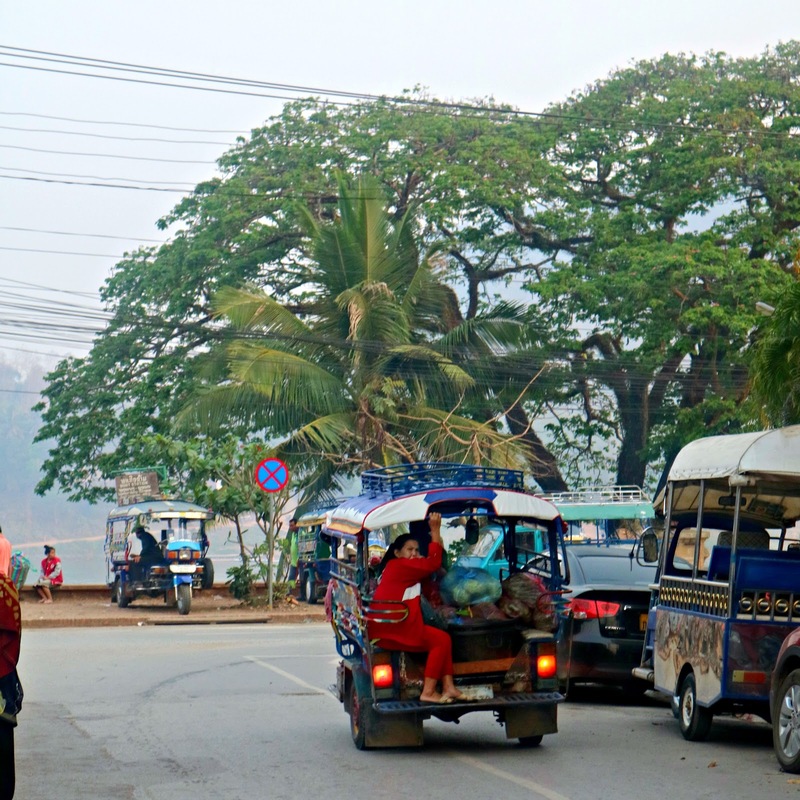 As I've said, Luang Prabang is easy to tour around. If you ask for a map from your inn then everything you need to know about the places are already written on the map. If your guesthouse doesn't have a map, you can get one to the nearest travel agency. 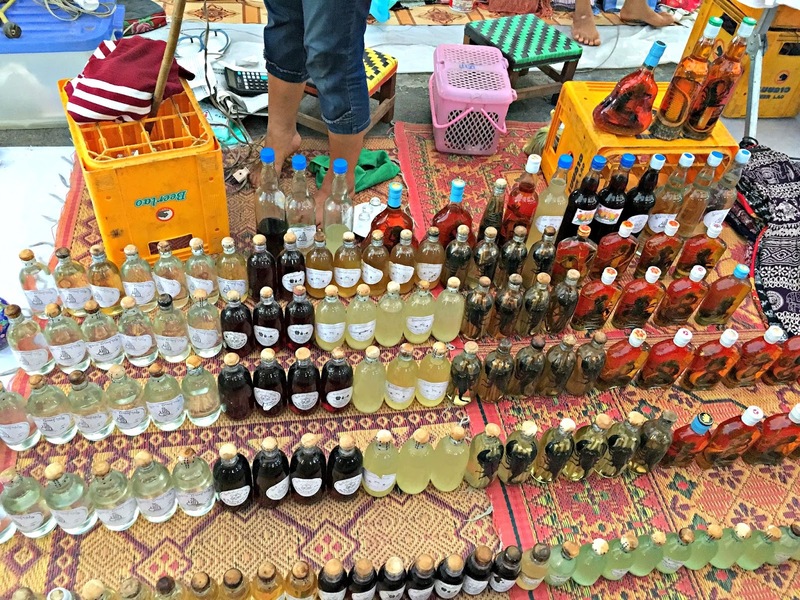 We got ours from the travel agency near Mekong River. This is also where we book bus tickets to Vientiane. The must visit places are marked on the map. Even the most visited cafe and restaurants are marked for easy navigation. Our first stop? Pha That Luang. 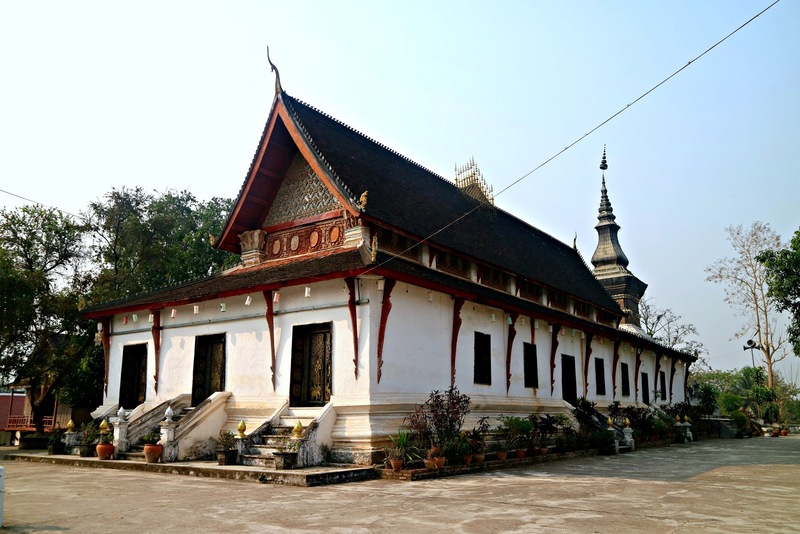 There are a lot of temples in Luang Prabang and you can't possibly visit every one of it in just a single day. 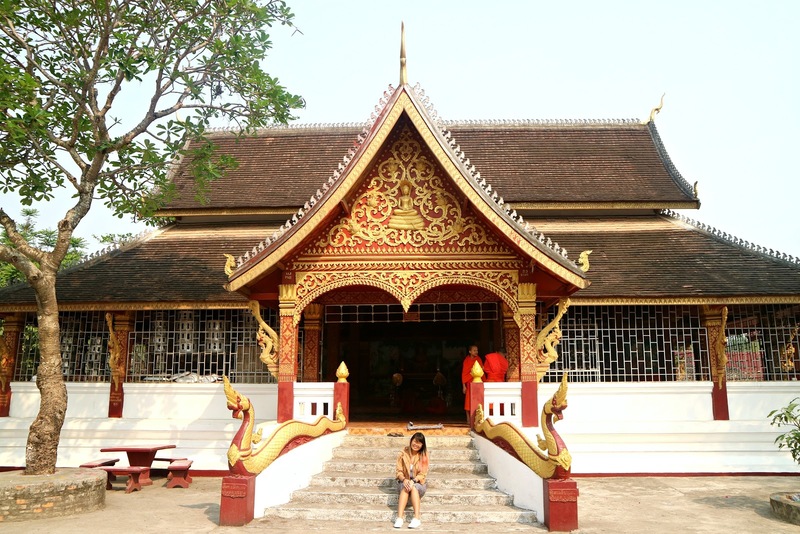 We only have 2 days in Luang Prabang so we only just visited the big and famous ones. Also, temples around here are like to those I saw in Mae Sot. Small but definitely not lacking in wow factor. 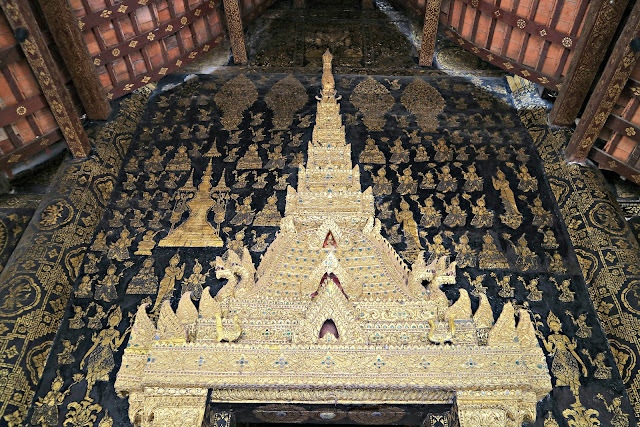 Every temple is unique, I guess. 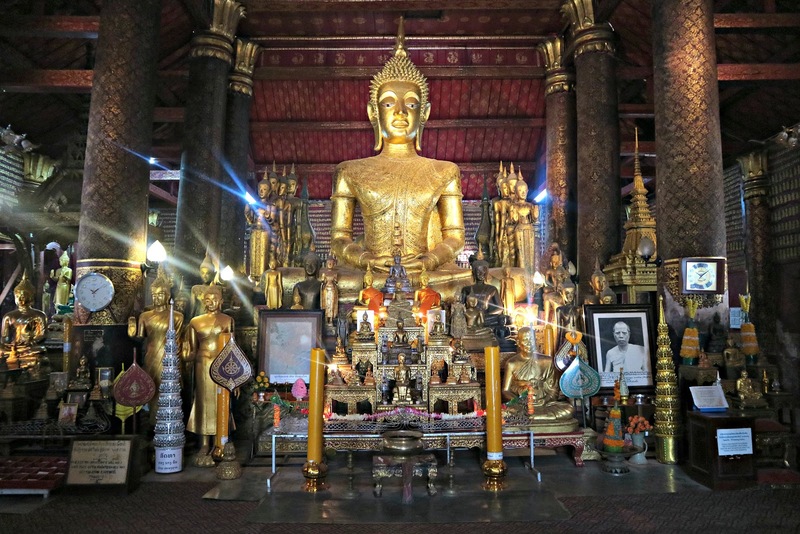 We visited Wat Manorom, National Museum, and Wat Xieng Thong. We could've visited a lot more if my father's bicycle didn't malfunction. 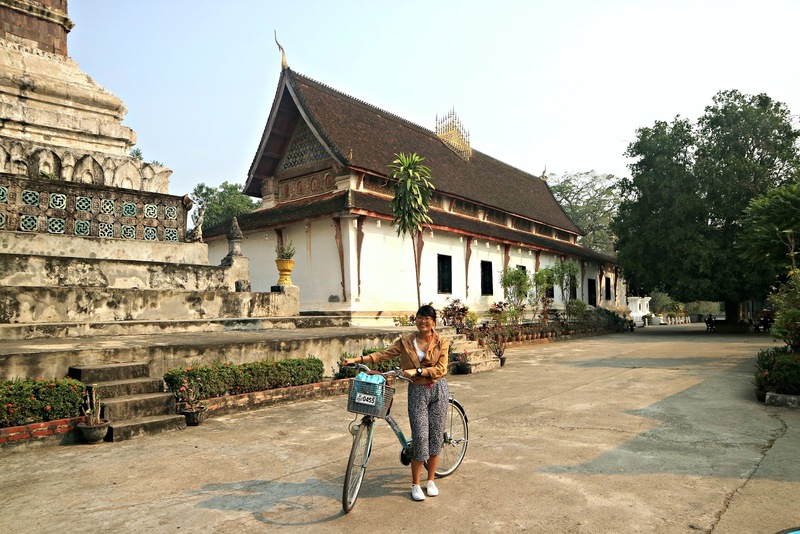 We had to ride a tuktuk back to the guest house to exchange the bicycle for a working one. 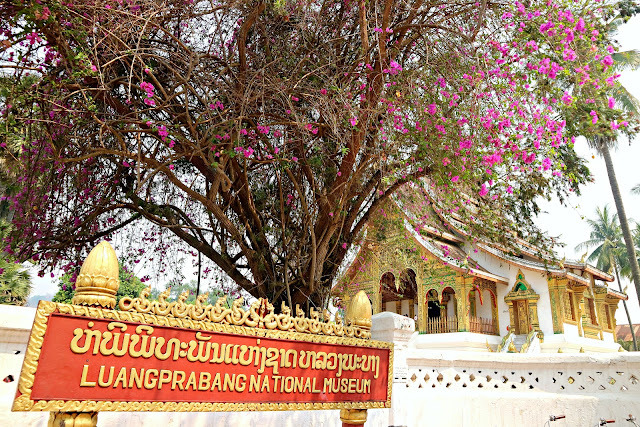 Across the museum is the famous Phousi Hill where you can see the whole province of Luang Prabang from up above. This is the best spot to catch the sunset! You also know what's cool? 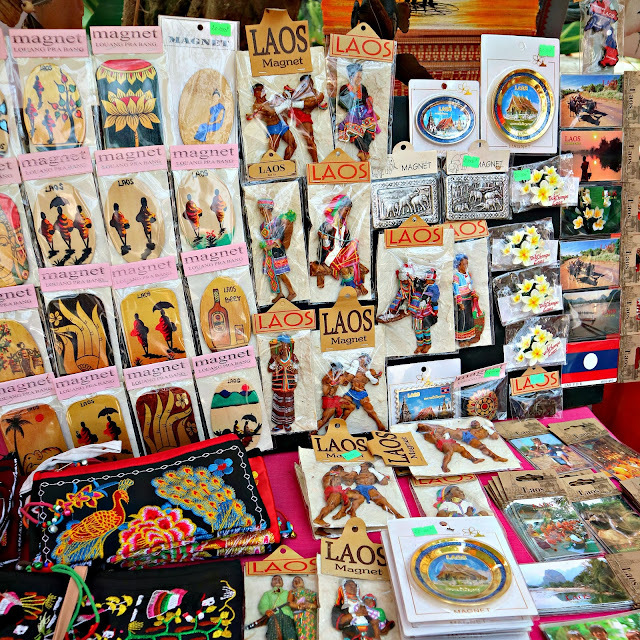 Lao people are very friendly and they think of us Filipinos as very hard working and studious. They think that because we're good at speaking English, we are intelligent. My father talked to a staff of the museum and the guy said that he has a friend that went to the Philippines. The guy's friend observed that Filipinos study very hard wherein I think was maybe ages ago. There are many more temples we visited but what struck me the most is Wat Xieng Thong as it is the biggest. Well, not as big as Bangkok's Grand Palace but if you will only visit one temple during your stay here in Luang Prabang, then it should be Wat Xieng Thong. It was already past noon and we haven't eaten lunch yet. Our next stop is the famous Kuang Si Falls. Another must visit in Luang Prabang. We took a van going there which was arranged for us by the guest house for 40000 kip per person. Not bad though as the place is quite far from the town center. 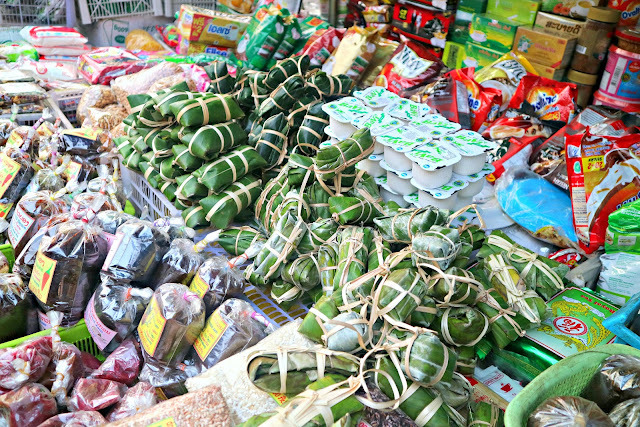 Of course, there were a lot of vendors and food stall. Entrance is 20000 kip per person. You just have to hike a little to get to the main falls. I don't know if this is man made or natural but whatever it is, it is beautiful. At least for me. The water is cold and refreshing. Along the path, there's also the bear rescue center. 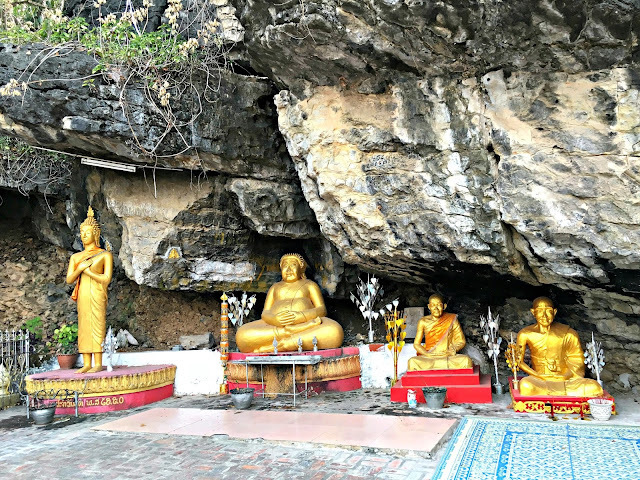 I will talk more of this in a separate blog post dedicated to Kuang Si falls alone. After the driver dropped us off to the city center, we hike the Phousi Hill to catch the amazing view of the sunset. And wow, it was really stunning. 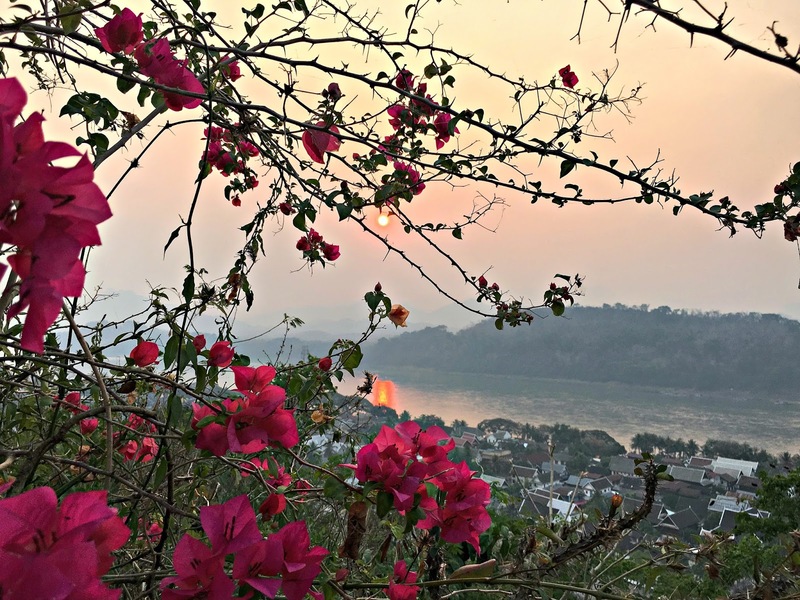 Add the view of the Mekong river and it is mesmerizing. 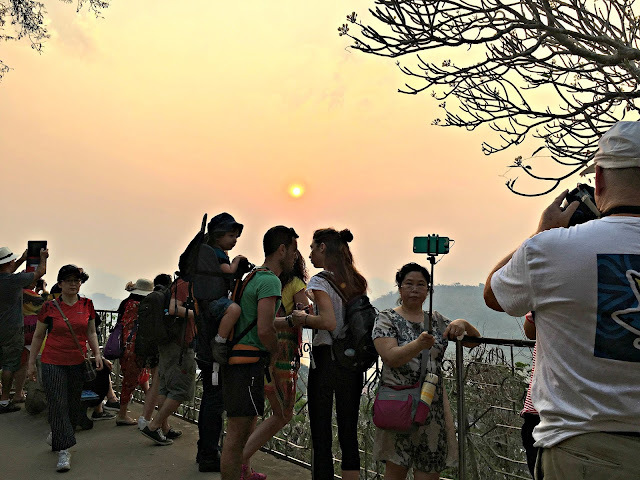 Together with us are other tourists catching the sunset as well. There are two ways to climb the hill, the first flights of stairs is in front of the National Museum while the other one is across the Nam Khan river. We took the one across Nam Khan river going up then we took the stairs to National Museum going down. The view of the town was also awesome. Very peaceful. 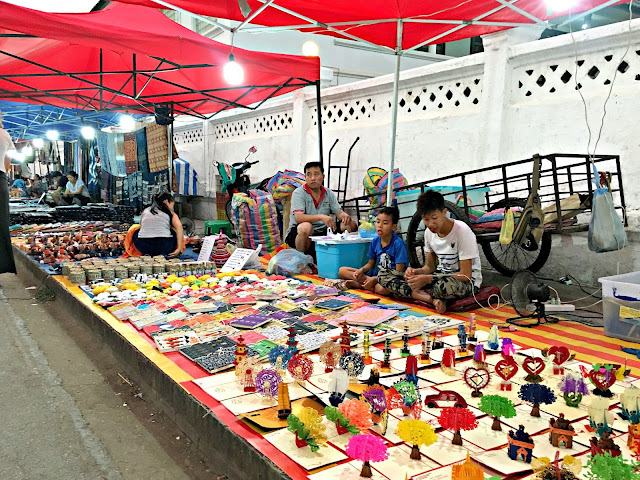 Going down from the Phousi Hill, the vendors of the night market is already setting up their stalls. 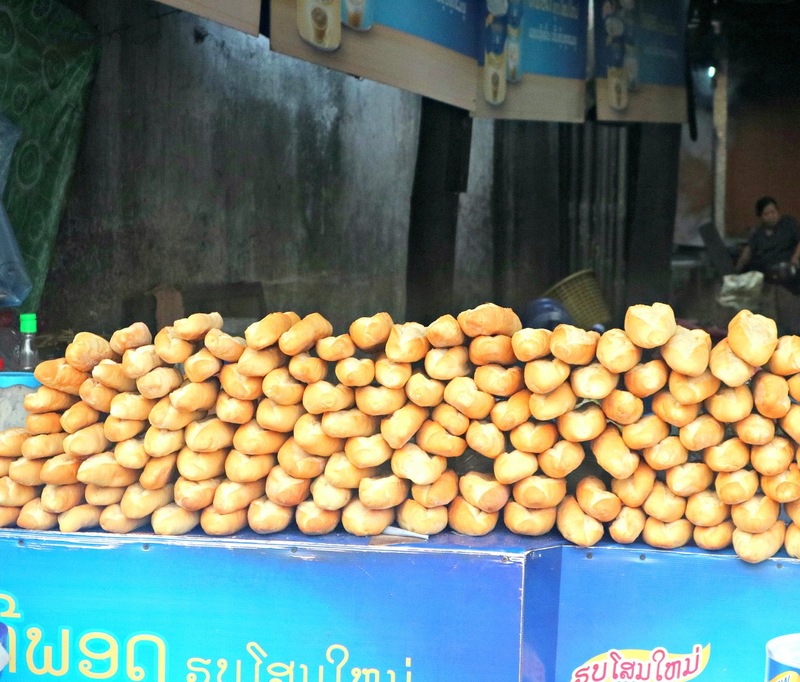 It was a looooongggg road but no one can deny, Chiang Mai's night market is still the best! 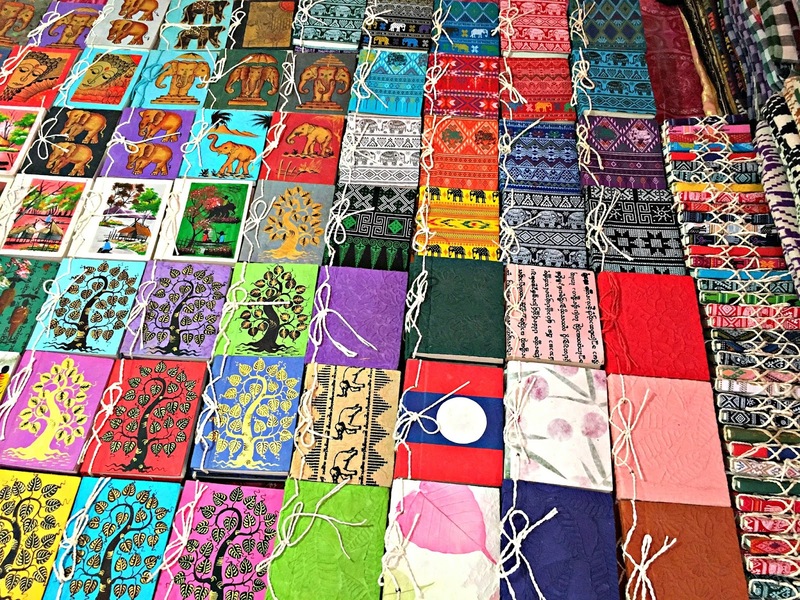 Sold here in Luang Prabang's night market are shirts, notebooks, Thai scented soaps, ref magnets, bags, and a whole lot more. And the rule of thumb? 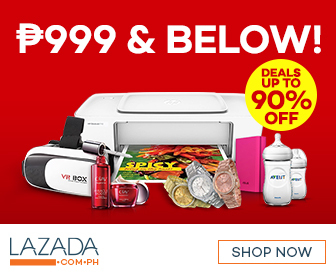 Haggle like there's no tomorrow! Lol. Right after, we ate dinner and retire for the day. It was a long day! 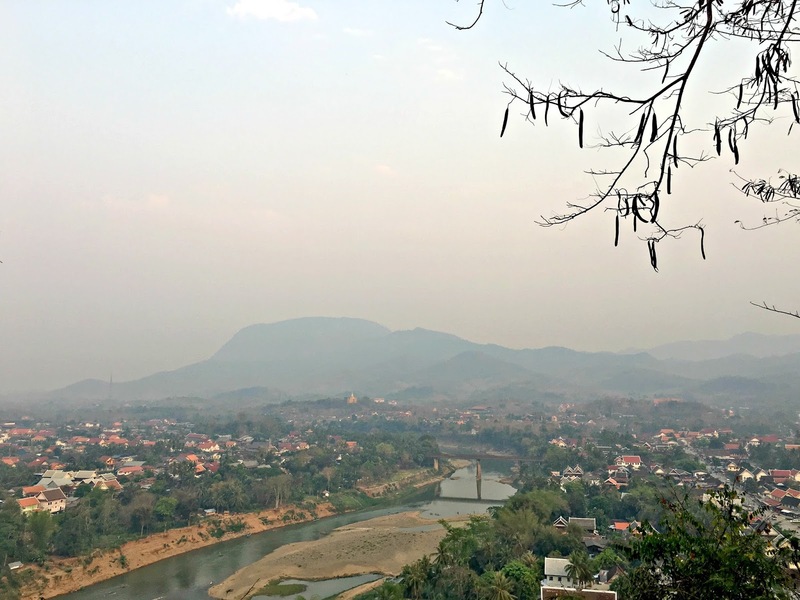 It feels like I've seen the whole of Luang Prabang but there's still more to discover. It was very tiring but it was fun looking at the locals. Knowing their culture and tasting their food. How I wish more Filipinos visit this country. Let's not stick to the usual and explore other countries that are not famous with our fellow countrymen. 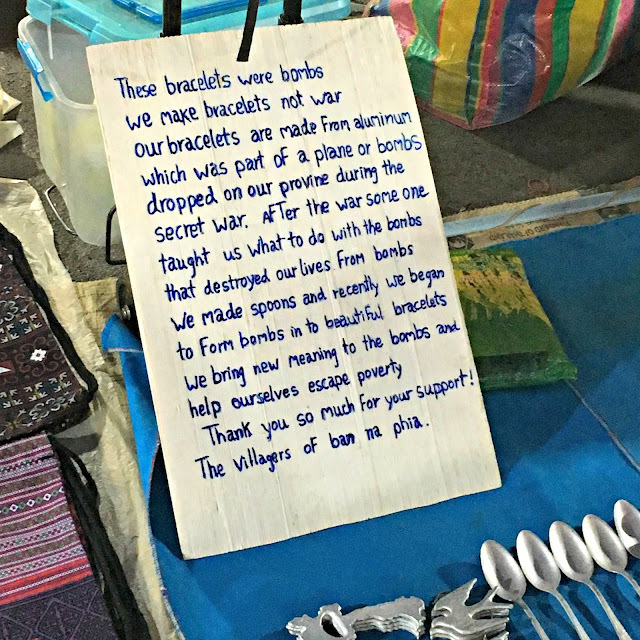 I'm glad I already visited Laos. 10 or 20 years from now, who knows what this country will be. It might be the richest among ASEAN. I've always wanted to visit all these places. They were actually on my bucket list! Specially Myanmar. But Laos seems to be a very charming place. If i were to travel here i might really do more of the eating seeing all those yummy food! They all look scrumptious! My God! 25 hours of bus travel without toilet?! Seems your desciption is pretty accurate. 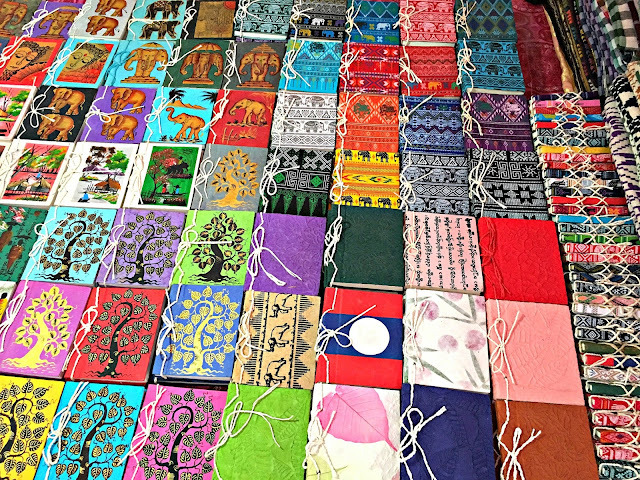 I also dream of traveling to Vietnam and Laos, include Cambodia and Thailand. Those are the plAces ive missed because of my unplanned pregnancy. Anyway, I do not want to regret anything. I know there will be chances for me still to travel, may be soon. Right now, I will just enjoy the travel blogs ive been reading, yours included. First of all, I love love love the photos! Very crisp colors and have an energetic vibe around them. I can never be a backpacker. :( I rely too much on the comforts of hotels and transpo service and just... ahhh. I really envy you for being able to do something like this. :) Hope you had fun! 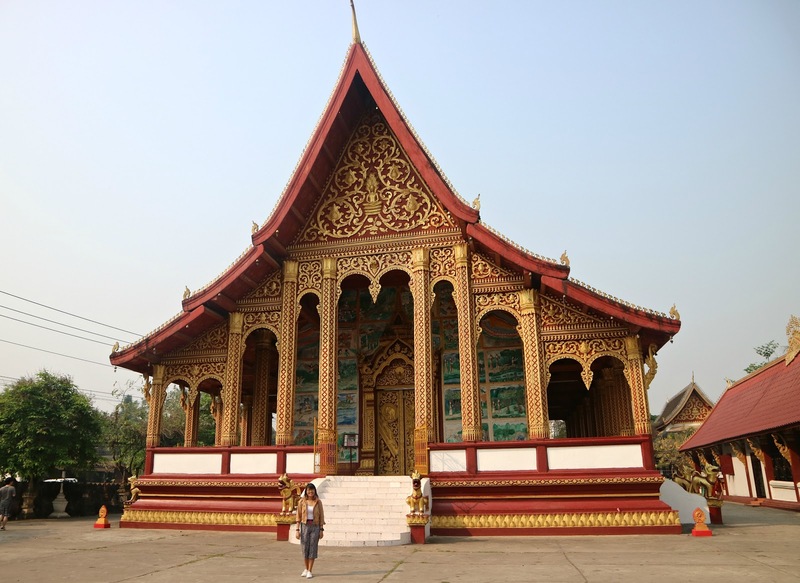 Beautiful photos and moments from Laos!It seems the views of temples are similar to the ones we visited in Cambodia.The photos of the local market are also give an insight of Laos local life.I'd love to visit there soon! 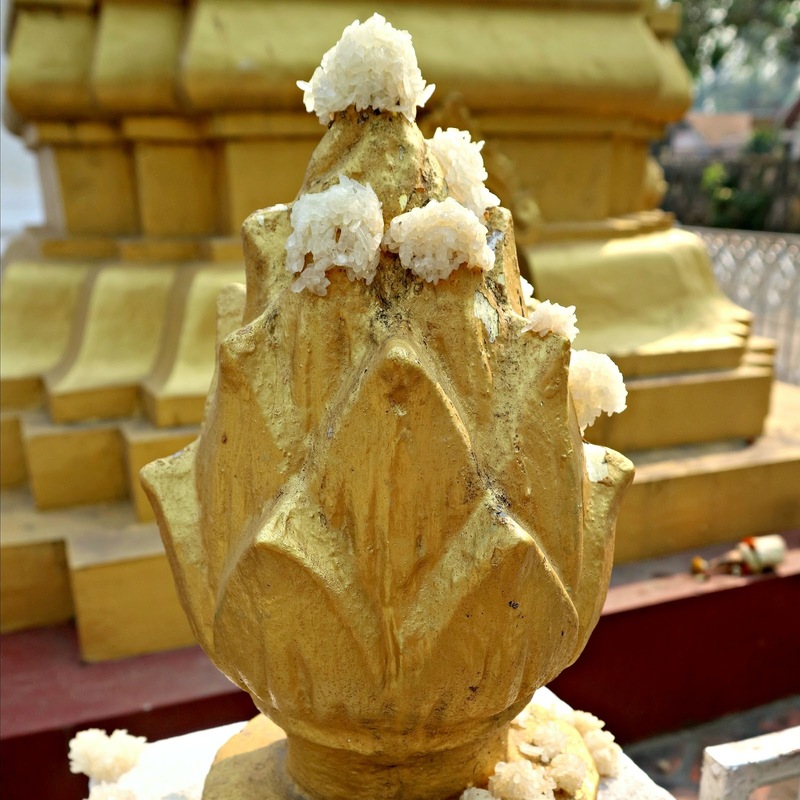 I have never been to Laos and would really love to explore this charming country one of these days. Thank you for this very detailed post, it seems as if I were checking those wares on the streets with you through those photos. I would sure love to sample those delectable local delicacies and bring home some of those ref magnets and other gift items from Laos. I haven't visited this place yet but I would surely love too! I still get saddened by the story you shared when you were scammed in the previous country you visited. Sometimes I wonder that I thought it was only here in the Philippines that such people would do that. But, you have wonderful captures about your travel! It is indeed one of the best gifts anyone could have, that is to travel! Laos, for me looks like the Philippines somehow. Surely you had a great time. To sad that the accommodation there was somehow costly than other neighboring countries. Those mini pancakes are love. They look delish! I love Laos for its rustic charm, simple way of life, and your photos really transported me there. There is something tranquil and peaceful about Buddhist-majority countries. 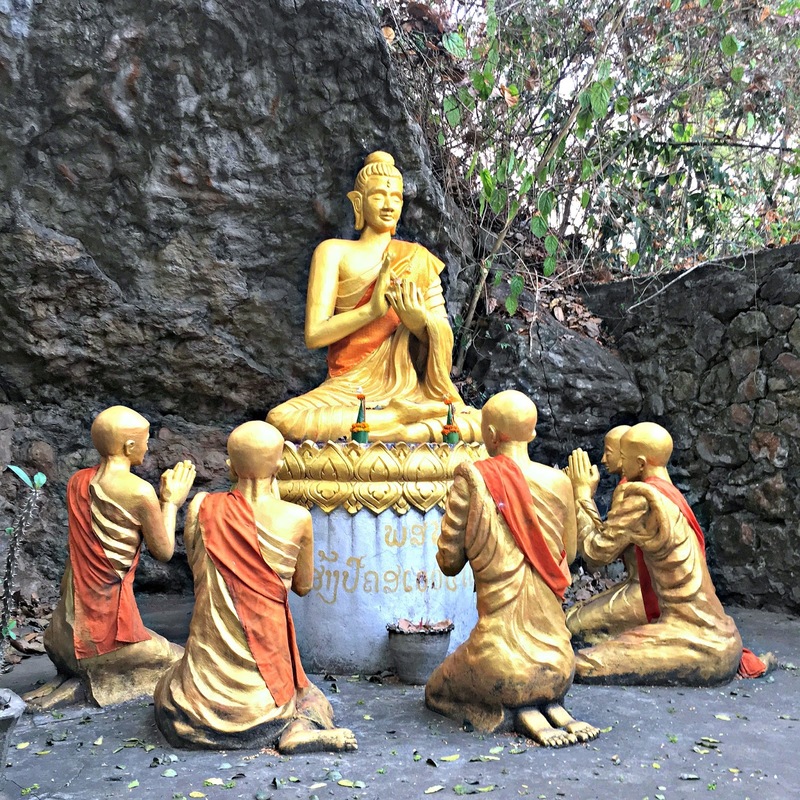 I've noticed that they treat people nicely, despite the language barrier; I think it's mainly because they believe in karma and treating others as they would want to be treated. Wow!! The place is amazing! 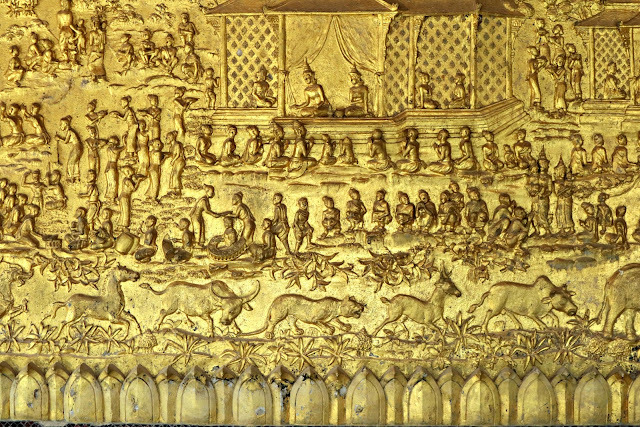 I have also never been to Laos and didn't even know it is this interesting. I love the fact that it ex capital city is a small place and that it allows an explorer to find out everything on his own. These small places are usually the most interesting ones, full of surprises and beautiful architecture. The food is something I would definitely enjoy while in Laos. Can i just say that your photos have been beautifully taken? 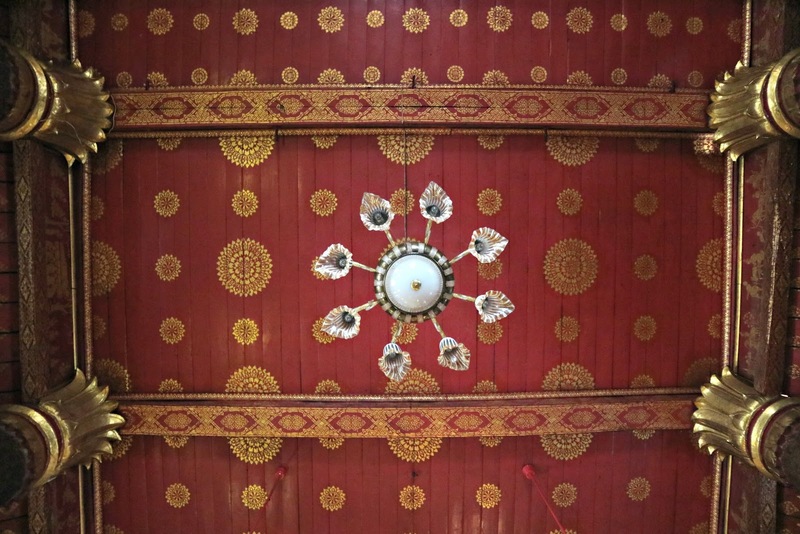 And wow the details of everything in luang are so aesthetically appealing! No wonder you had such an amazing time! :) You know, i plan on also visiting all the countries around south east asia, so i'm pinning this post for future references. 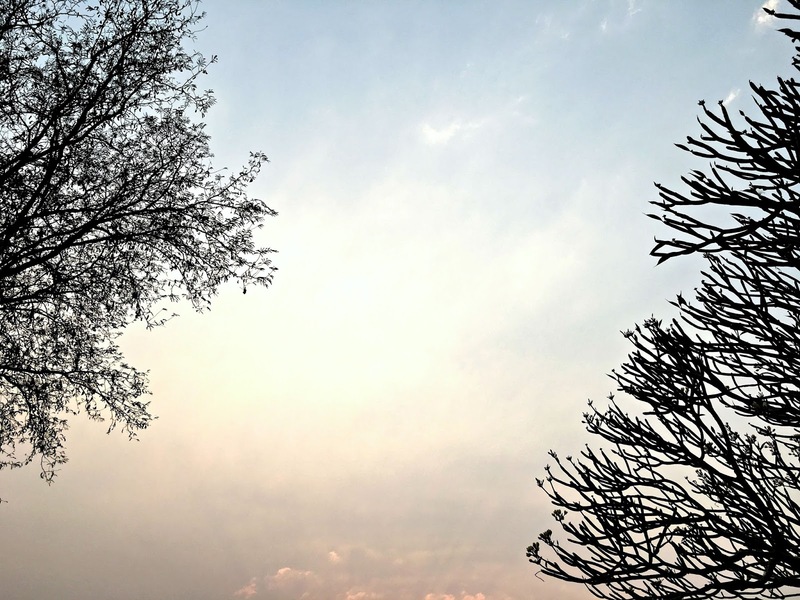 (Haggle like there is no tomorrow)- I so like this comment.You have not written this post, you have vented out your emotions and inner feelings on your blog. And this is what I like. I do hope that Laos becomes the richest country in ASEAN.